Chalk grasslands on downland are often case of bonsai botany – the low nutrient status due to the chalky substrate, combined with grazing by sheep or cows favours low creeping species, or those willing to operate in miniature. 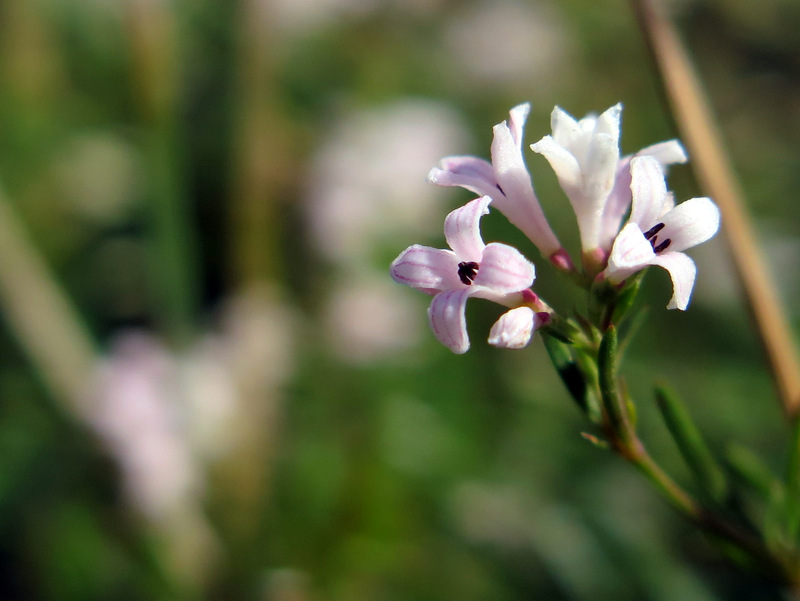 Squinancywort is a small, mauve-lilac flowered member of the bedstraw family, of which the strong, scrambling sticky-weed or cleavers is perhaps the most commonly known example. 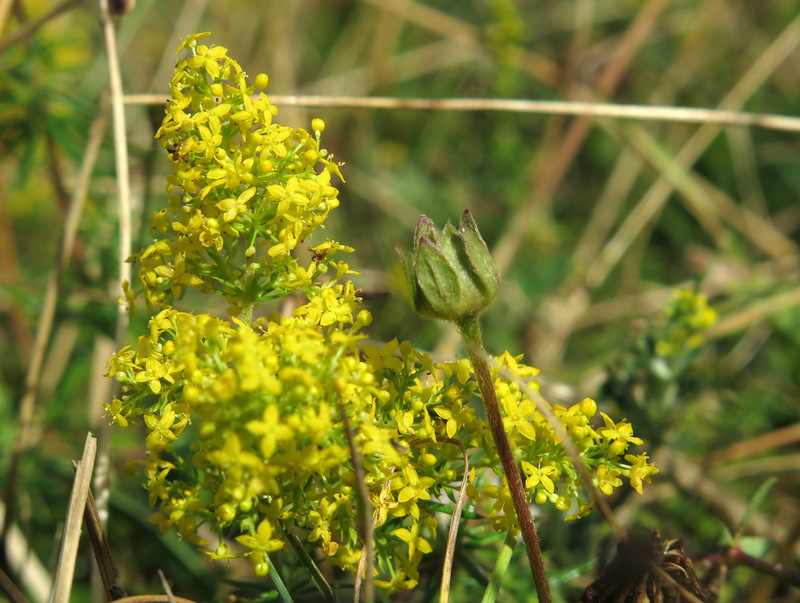 Ladies bedstraw is another member of the bedstraw family – the four-petalled flowers are common to all members of the bedstraws although the majority are white – ladies bedstraw is one of two yellow flowered members of the genus. Beaked hawk’s beard is usually a more robust plant, but here it was growing in a low, creeping habit. The red-flecked undersides to the petals however make it distinctive. 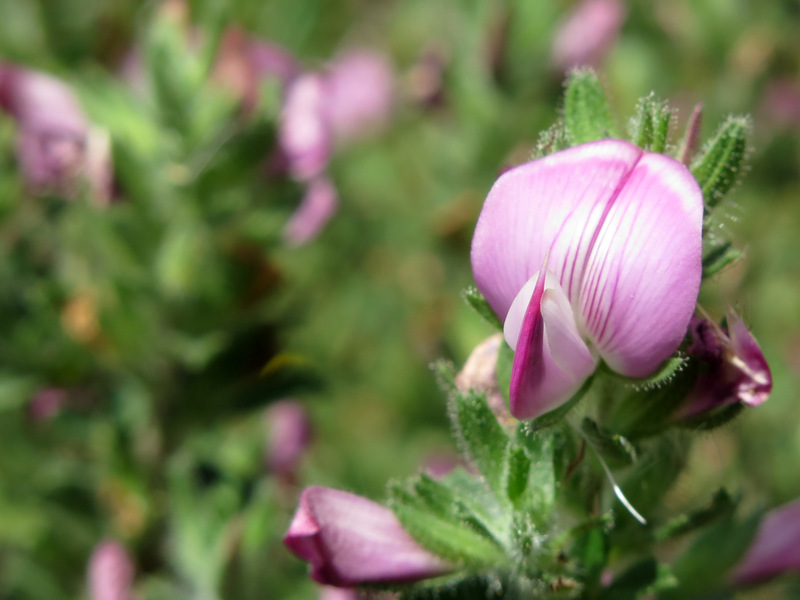 Common restharrow is a low-growing member of the pea family with beautiful, striated foxglove-purple flowers. 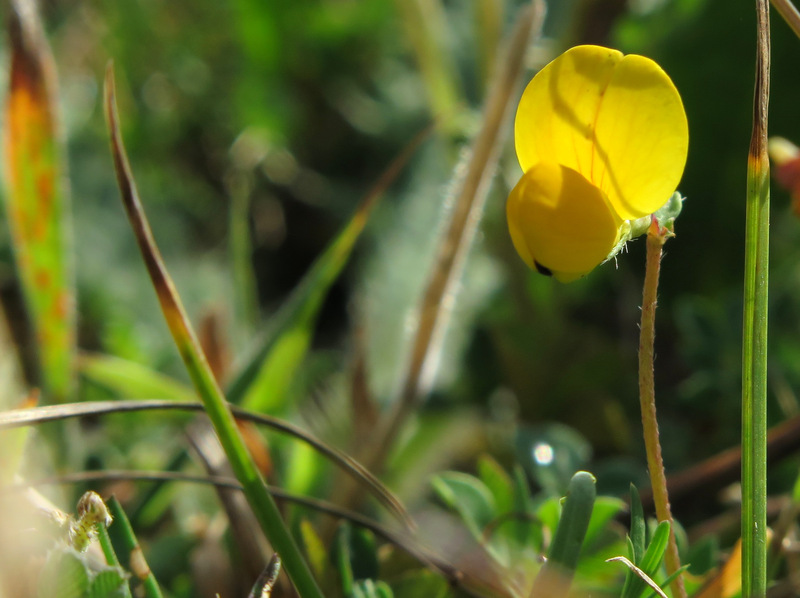 Bird’s foot trefoil – Lotus spp. 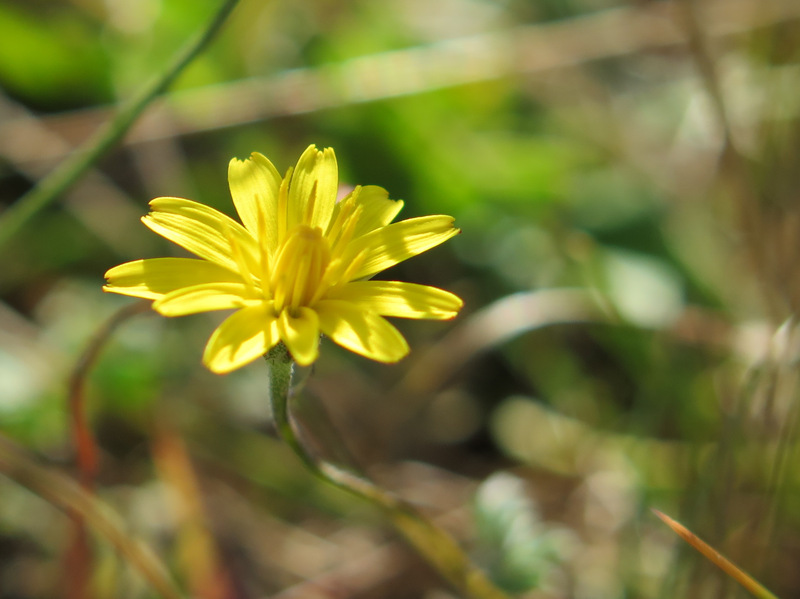 Birds-foot trefoil is another member of the pea family with sunshine-yellow flowers. It is quite a common sight, often included in wildflower mixes and a big hit with many of the butteflies such as the skippers and the blues. 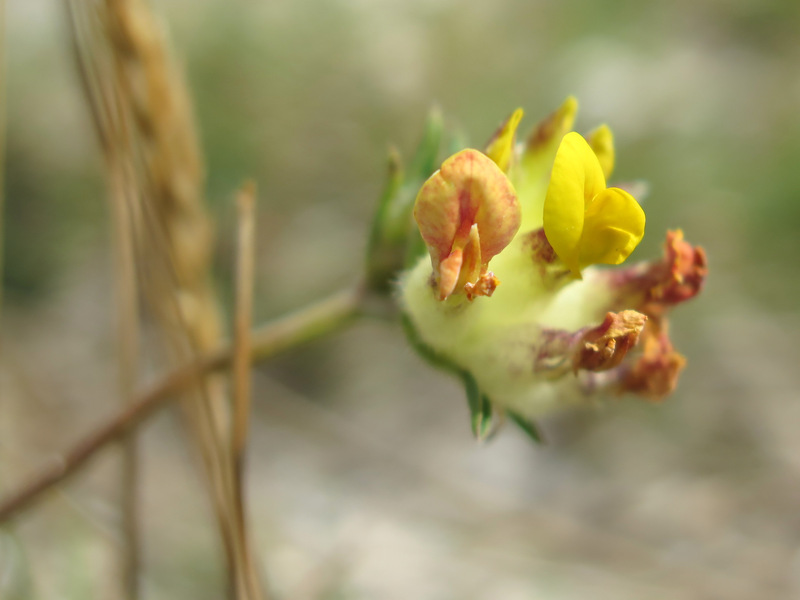 Kidney vetch is a third member of the pea family – the flower heads contain clusters of the small pea-flowers – just as the bird’s-foot trefoil but multiple and in miniature. 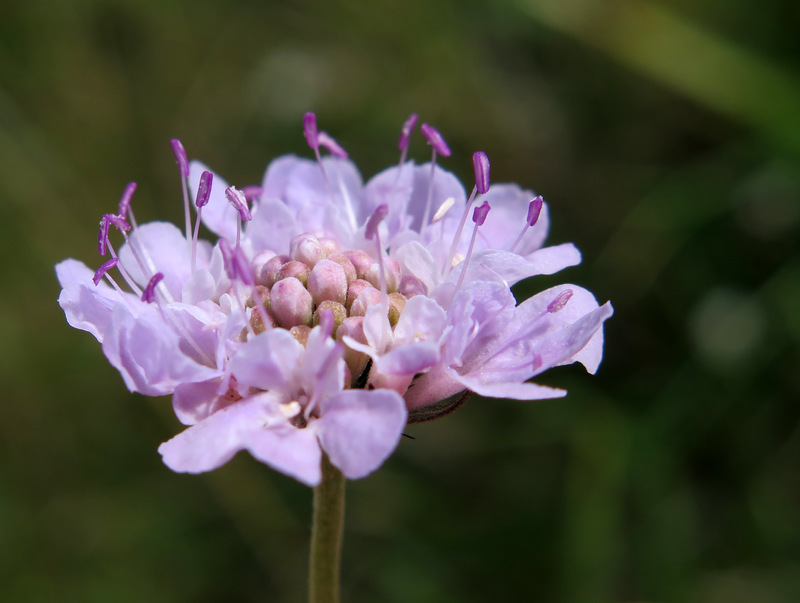 Small scabious is a a soft lilac coloured flower with open heads which attract a wide range of pollinators including solitary bees, bumblebees and butterflies. Round-headed rampion is something of a rarity nationally, but was quite common in patches of the grassland on the south downs. 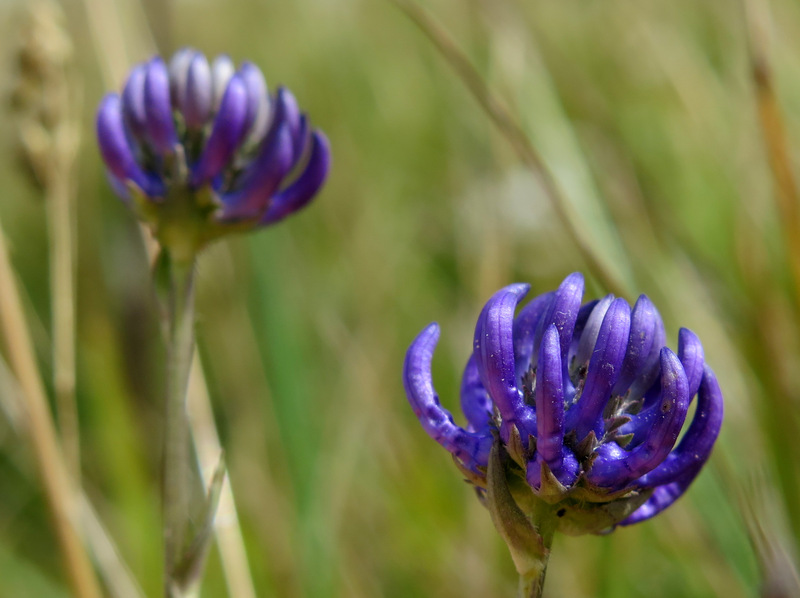 It is the County Flower of Sussex and quite a striking blue up close. It seemed to be a particular favourite of the six-spot burnet moths which had just emerged, judging by the empty pupae cases lining the dry grass stems. The downs have a particular character of their own, but many of the species above (with the exception of the rampion) can be seen much closer to home in the Midlands – there are a number of excellent calcareous grassland sites around Grantham, the finest of which has to be Barnack Hills and Holes NNR just down the A1 near Stamford but a number of other Lincolnshire and Leicestershire Wildlife Trust sites also boast an exciting range of calcareous meadow species – use the Nature Finder app to see what is closest to you.